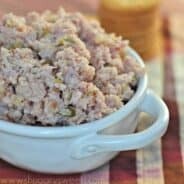 Grandma’s Ham Salad recipe. 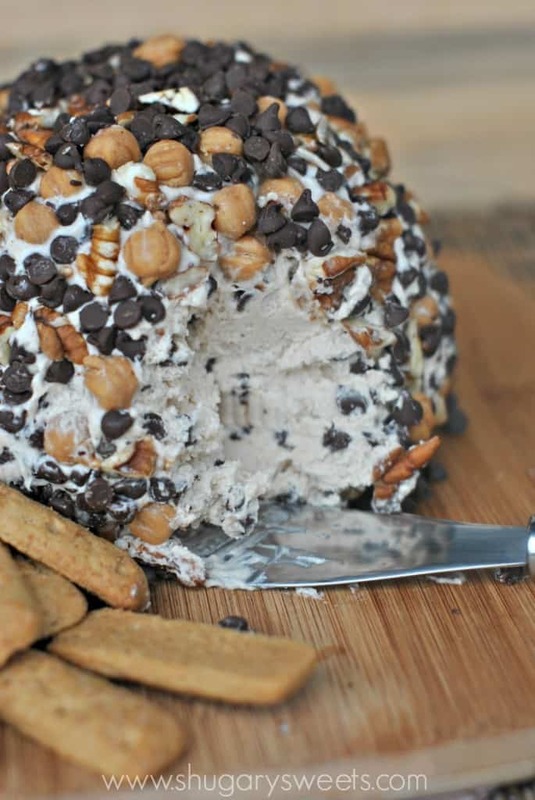 A delicious dip with crackers! 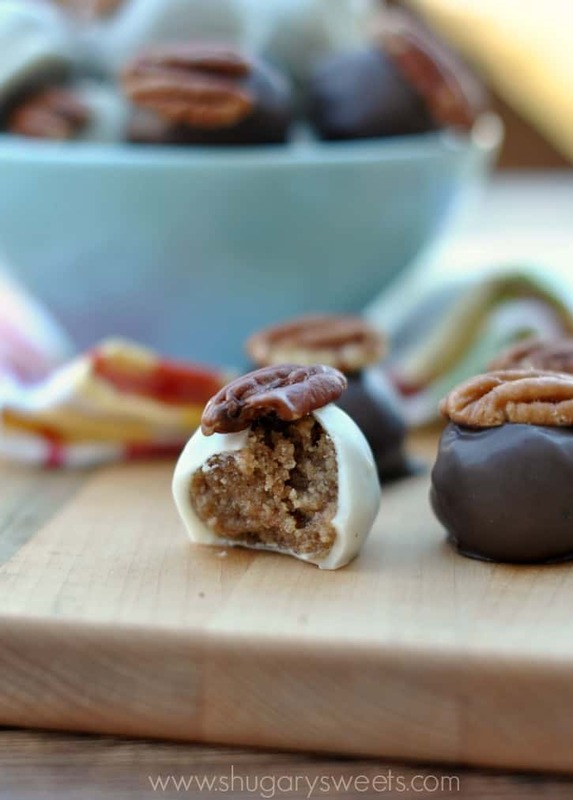 Make this for your next party, just do it! 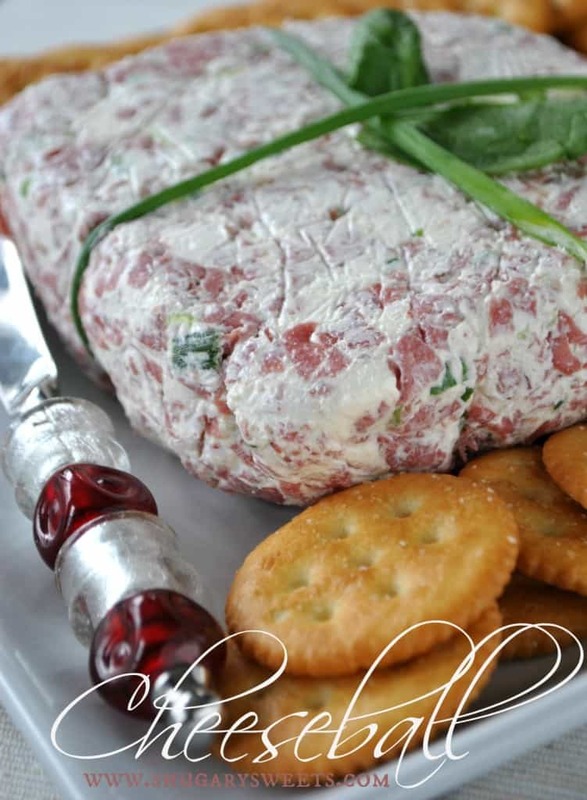 Every year, no matter where our family Christmas is being held, I’m always in charge of bringing Grandma’s Ham Salad. Growing up, my Grandma always served the same food for Christmas. We ate cold cut sandwiches, potato salad and ham salad. I know it may not be your traditional holiday meal, but I looked forward to it for so many reasons. First, the cold cuts. My mom NEVER bought deli meat or cheese when I was a kid. We ate bologna or Buddig (anyone remember this??). My Grandparents always had fresh sliced deli meats and cheeses. Yes, CHEESE. I only knew cheese to come in plastic, individually wrapped. But deli cheese? OMG yum. It’s all I ever buy now as an adult. And potato salad. You may remember me sharing my grandma’s potato salad HERE. It is simply the best. The key to her potato salad is dicing everything VERY VERY small. Finally, the ham salad. You have to own a meat grinder to make this salad. Which is why this became my job every year since she has passed on. I’m the only one in the family with a meat grinder. I use THIS ATTACHMENT for my KitchenAid. I love it! 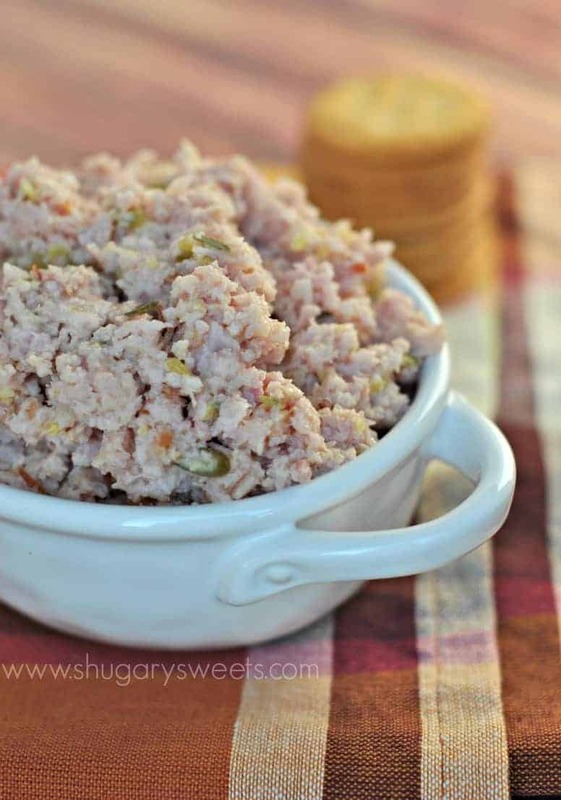 But Grandma’s ham salad took me several years to get right because her recipe had no measurements except a 5lb ham. Everything else was just a list of ingredients. I had to figure out HOW MUCH of everything she used. One year I used too much soy sauce, yikes, it was so salty. One year, way to much mayo and it was almost as creamy as potato salad. Now, I’ve pretty much got it down, and I can eyeball everything. However, for you all, I measured and am sharing it today! Never had ham salad? You are missing out. Do you like those ham roll ups with cream cheese and onion (or pickles)??? It kinda tastes like that….kinda. 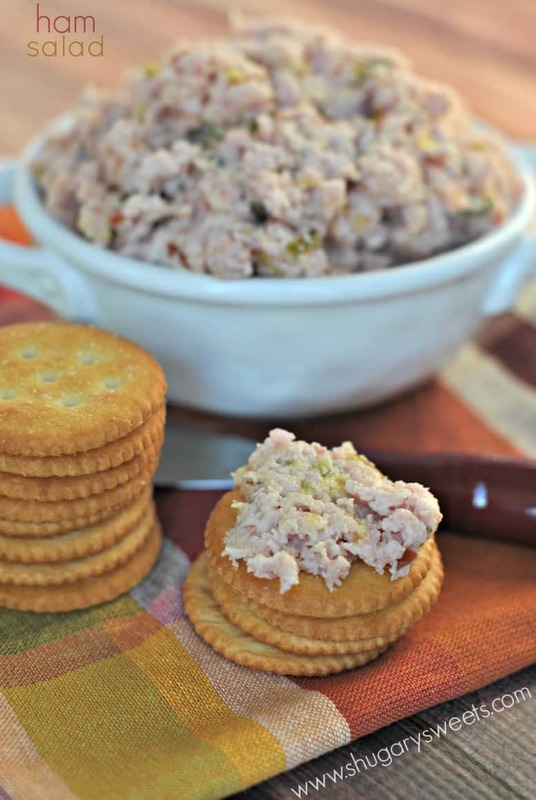 This recipe makes a lot of ham salad. Before you ask, I don’t know if you can freeze it, I’ve never tried. I bring it home for the holidays and all of my family members get a container. If it’s not all eaten at once, of course! ENJOY!! Grind fully cooked ham with a coarse meat grinder. Add mustard, mayonnaise and soy sauce, mixing until fully combined. Refrigerate in a covered container for up to 5 days. ENJOY. For best flavor, use a brown sugar glazed ham. If I can't find one, I bake a ham making a brown sugar glaze and topping with cloves. YUM.